When the Nintendo 64 was released in the U.S. on September 26, 1996, it threw players into a whole new world of gaming. Complete with 3D worlds and 64-bit graphics, this mega console helped turn video gaming into the immersive medium it is today. 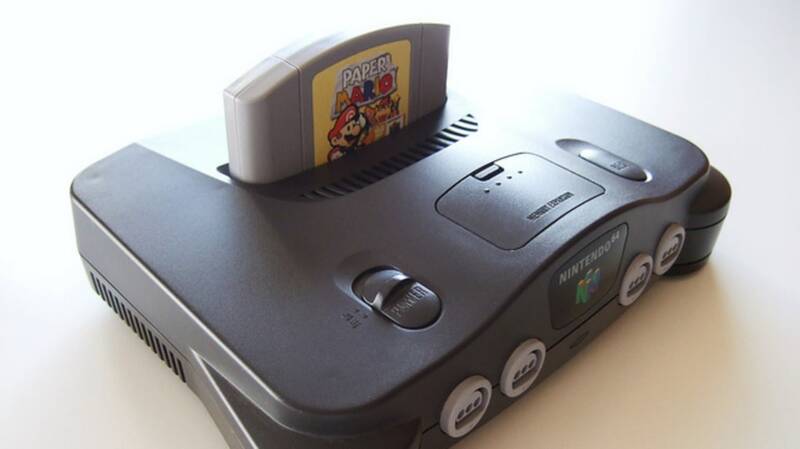 To celebrate its 20th anniversary in the U.S., check out 10 facts about the Nintendo 64. 1. IT ALMOST HAD A DIFFERENT NAME. While in development, the Nintendo 64 was codenamed "Project Reality," but that was obviously never meant for mass consumption. The system did, however, have another name planned for consumers: Ultra 64. That was the working title for the system until the company learned Konami had the word "Ultra" trademarked for its Ultra Games division. 2. ON AVERAGE, GAMES WERE MORE EXPENSIVE THAN THEY ARE TODAY. $59.99 might sound like a steep price for a game today, but when the N64 was released, titles were actually substantially higher, averaging about $75 a pop when the system first came out. Not only that, but game prices weren't as consistent as they are now, with some coming in at $59.99 and others (like Killer Instinct Gold) topping out at $79.99—and we're not even adjusting for inflation. 3. IT LAUNCHED WITH JUST TWO GAMES IN THE U.S. If you weren't a fan of the Super Mario Bros. franchise, you were out of luck when the N64 first launched. Outside of Super Mario 64, there was only one other game available when the system first hit shelves: Pilotwings 64. That's it. Eventual system-sellers like GoldenEye 007, Banjo Kazooie, WCW/nWo Revenge, and The Legend of Zelda: Ocarina of Time were still a ways off in September 1996. In a bit of digital symmetry, the N64's launch lineup almost perfectly mirrored that of the Super Nintendo's, which included Super Mario World, the original Pilotwings, and F-Zero. 4. A PERIPHERAL ALLOWED IT TO GO ONLINE, BUT ONLY IN JAPAN. Years before online gaming became the norm, Nintendo attempted to bring gamers together with the Nintendo 64DD—a peripheral disc drive that allowed players to interact via the Internet and play games, share creations, and socialize. Unfortunately, due to years of delay, the actual tech behind the 64DD was out of date by the time it became available for purchase, and company support quickly dwindled. It also didn't help that it was only available in Japan, basically cutting its potential user base into a fraction of its potential. 5. NINTENDO HAD TO SELL MARIO PARTY WITH PROTECTIVE GLOVES. The Nintendo 64's controller was oddly shaped and difficult for some gamers to grasp at first, but the implementation of an analog stick is something that systems have been using ever since. However, that stick, despite being a logical leap forward for gaming tech, came back to haunt the company. After receiving complaints about injuries suffered while using the analog stick to play Mario Party, the New York Attorney General came to terms on a settlement with Nintendo to begin selling sports gloves to anyone who bought the title. What type of injuries could a game controller inflict? Blisters, of course. During portions of the game that required players to move the stick at a rapid pace, people were reporting not only blisters but also puncture wounds, friction burns, and other injuries to the palms of their hands. To avoid an even messier situation, Nintendo agreed to provide worried customers with sports gloves if they called an 800 number. Though the title sold more than 1 million copies, the cost of the gloves bit into the profits for Nintendo; luckily for the company this problem wasn't widespread, as they had received fewer than 100 complaints from parents over the years. 6. PEOPLE ARE ROUTINELY BEATING SUPER MARIO 64 IN LESS THAN TWO HOURS. Super Mario 64 was a big deal for Nintendo in 1996: It revolutionized 3D game design and proved that simple mechanics can make the jump to a far more powerful console. The game's impact was so huge that it's still being played today—albeit by speed runners looking to get into the record book for the fastest completion time. By memorizing each section of the game, and exploiting a few glitches here and there, players have found ways to complete Super Mario 64 in under two hours. As of right now, the record for the fastest time collecting all 120 stars in the game is one hour, 40 minutes, and 12 seconds. 7. THE LEGEND OF ZELDA: OCARINA OF TIME WAS ALMOST A FIRST-PERSON GAME. "Right. In the beginning, he had the image that you are at first walking around in first-person, and when an enemy appeared, the screen would switch, Link would appear, and the battle would unfold from a side perspective." 8. THE CARTRIDGES KEPT CERTAIN GAMES FROM SEEING THE LIGHT OF DAY. Nintendo's insistence on sticking with cartridges over discs was seen by some as one of the charms of the company, but the reality was that the decision held the system back in countless ways. Simply put, discs on a system like Sony's PlayStation could hold more data than cartridges, and while discs do require loading times (sometimes lengthy loading times for those who remember), you could pack more high-quality graphics, video, and audio into a game that way. While Sony could release sprawling, technologically superior games like Final Fantasy VII and Metal Gear Solid on two or three discs, the N64 would have had to use numerous cartridges to fit the same game, which was incredibly cost-prohibitive and cumbersome. As the console wars raged on, this relegated the N64 to releasing first-party titles with simpler, more cartoonish graphics, while Sony was able to push the limits further with a range of outside developers. 9. SHIGERU MIYAMOTO WANTED GOLDENEYE 007 TO END WITH EVERYONE SHAKING HANDS. When you look across the vast library of Nintendo games over the years, there's one thing that's (almost) noticeably absent compared to other systems: violence. The company has always held tight as the more "family-friendly" gaming option, with Mario, Luigi, and even Zelda providing fairly bloodless adventures. But one of the Nintendo 64's most popular games also happened to be one of the most violent: GoldenEye 007. Despite its popularity, all the guns and killing didn't exactly thrill Shigeru Miyamoto, who, at one point, suggested after the main mission was over, players should be able to "shake hands with all your enemies in the hospital," according to an interview with the game's director, Martin Hollis. 10. SUPER MARIO BROS. 64 IS STILL THE CONSOLE'S BESTSELLING GAME. This shouldn't come as a huge surprise: Super Mario 64 is the bestselling game on the Nintendo 64—by a lot. It sold around 11.89 million copies, while Mario Kart 64, the next highest seller, sold around 9.87 million. GoldenEye 007 came in third, with 8.09 million copies sold.